Booking the right wedding venue is, by far, one of the most important steps you’ll make in the wedding planning process. This is not just the roof you place over your heads during the Big Day – it’s the element that will influence your wedding style, guest count, and even the wedding vendors you work with. So, how do you book a wedding venue correctly – and even more so, how do you do this when your budget is not necessarily very permissive? We have some tips for you – so read on and find out more. Don’t automatically rule out options just because you “think” they’re not right for you or your budget. Sometimes, it is the least expected venues that make brides happy – so give everyone a chance. Same as when going dress shopping for the Big Day, hearing out a specialist’s opinion may open your heart to a whole new world of options – and yes, it happens very frequently that those are the best ones for a lot of brides. If your budget is tight, choose a wedding venue that’s already beautiful. You may think you can upgrade a simple wedding venue to a gorgeous one with the right décor – and yes, it can be done. However, what many brides don’t realize is that wedding rentals and décor cost quite a lot – so, it’s actually better to book a venue that’s already pretty. You will save a lot of money this way! Be flexible with your wedding date. We know you want to get married on the date you met, or the date he proposed, or maybe your birthday. But sometimes, other brides were there before you. And other times, in-season wedding dates cost a lot more than off-season options. Be a little flexible with your wedding date – it’s actually to your advantage because it will allow you to get the venue you want and potentially do it for a lot less money. Include all the fees in your budget. Ask your wedding venue manager about all the costs associated with booking it (including, but not limited to the down payment). Doing this will help you plan a realistic budget (so you will be less tempted to actually overspend). Have you found your perfect wedding venue on the Eastern Shore? 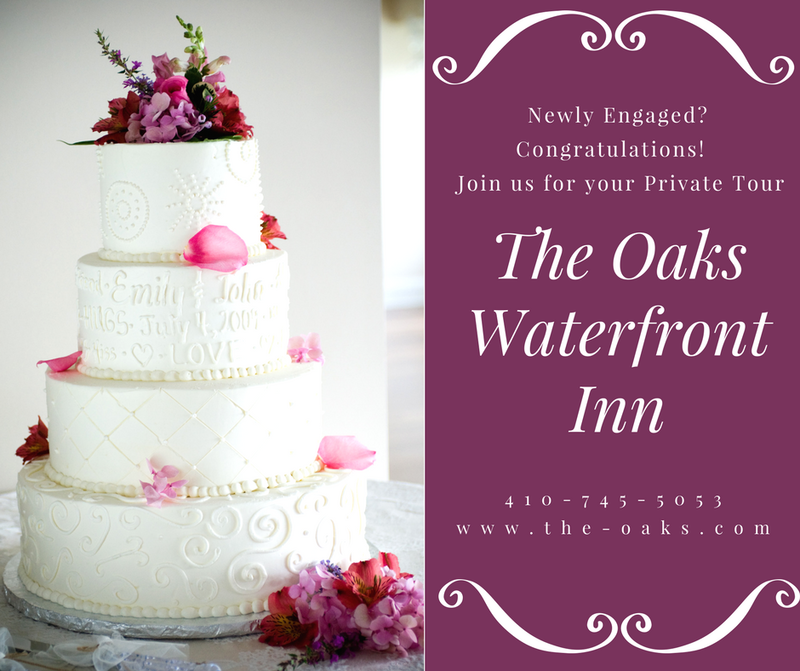 If you are still looking for the perfect one, be sure to contact The Oaks and schedule your private tour of our grounds. You will LOVE it here!